Learning interjections is a lot of fun. And most of them are easy to use. 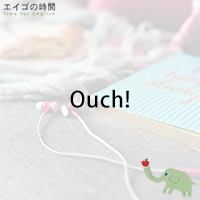 For example, “Ouch!” is an interjection to express pain. When someone steps on your foot, you can say “Ouch!” or “Ow!”. Now, what are you going to say, when you eat something delicious? You say “Yum-yum!” or “Yummy!” What about when you eat something not delicious? You say “Ugh” or “Yuk”. And while you say “Wow!” to express pleasure, surprise or admiration, “Oh no” is uttered to indicate that you’re disappointed. Try to learn to use these interjections naturally in a conversation, and your English would sound much more like English. Now, why don’t you try a quiz? I’ll give you three options. Please listen carefully and choose the one that is TRUE. Ready?